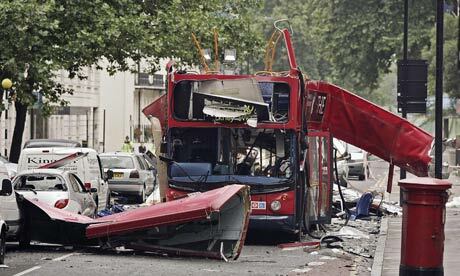 Ten years ago today, 52 British civilians were murdered in the first ever suicide bombings to occur in Western Europe and the biggest bomb attack seen in London since the Second World War. In all another 700 were injured in the 7/7 attack; peaceful people going about their business and making their commute to work. Prime Minister David Cameron and London Mayor Boris Johnson will mark the moment by laying a wreath at the memorial in Hyde Park built to commemorate the victims. The service will begin at 2:30pm. The survivors, their families and those of the victims have been invited to attend a service of commemoration in St Paul’s Cathedral at 11:00am and the capital will stop at 11:30am for a minute’s silence.